We've teamed up with our friends at VVS Films to give you a chance to win a copy of Mandy Moore and Claire Holt's new shark-infested thriller, 47 Meters Down, on Blu-ray! 47 Meters Down is available to own on Blu-ray & DVD as of September 26th, 2017! Via Facebook: LIKE & FOLLOW our Facebook page and leave a COMMENT on it to answer the following trivia question: In 47 Meters Down, Mandy Moore and Claire Holt play sisters. Name a TV show that each actress is known for. Click here to enter. 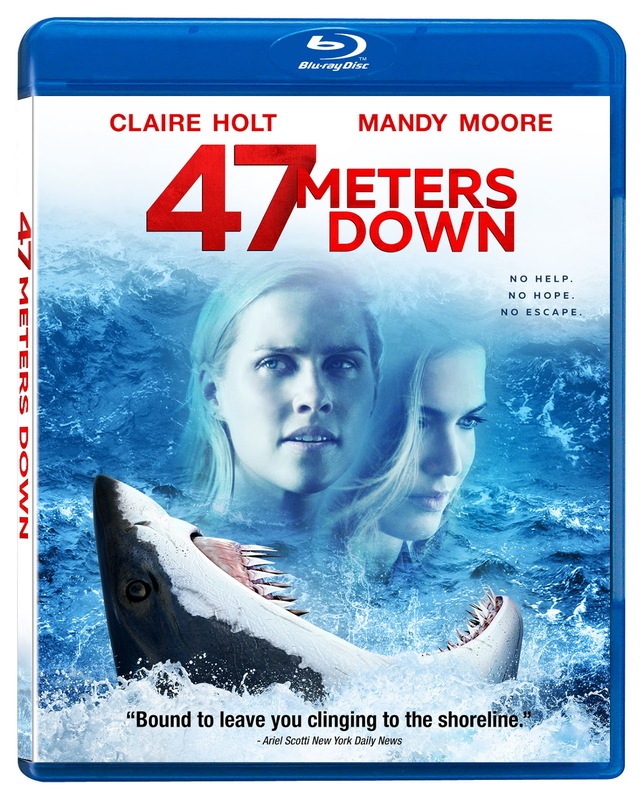 Via Email: EMAIL thereelroundup@gmail.com using the subject line 'Enter Me to Win 47 Meters Down on Blu-ray', and provide your full name, email address and mailing address in the body of the email.